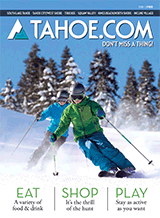 Monday - Saturday: 10:30 a.m. - 6:00 p.m. / Sunday 11:00 a.m. - 5:00 p.m.
Bluestone has the largest and best selection in Lake Tahoe location inspired jewelry, fine wall art and unique pieces. Lake Tahoe comes alive at Bluestone whether it is Lake Tahoe jewelry, fashion designs, wedding, anniversary or custom made designs. Not like other jewelry stores, the people, dog, and the products there are unique indeed. Lake Tahoe is a unique place and our pieces are unique as well. Both have depth, clarity and beauty and Bluestone would love to bring Tahoe to you.